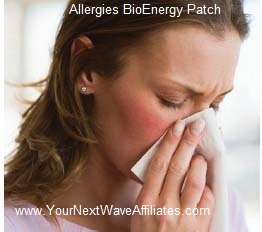 The Allergies BioEnergy Patch can provide relief from food & airborne allergens. It can also assist with allergies, asthma, & sinus issues that stem from dust, pollen, mold, pet, and food allergens. Consider using the Allergies BioEnergy Patch when experiencing symptoms from allergies, asthma, and sinus problems such as sneezing, watery eyes, loss of smell or taste, frequent throat clearing, hoarseness, coughing, drippy nose, and wheezing. 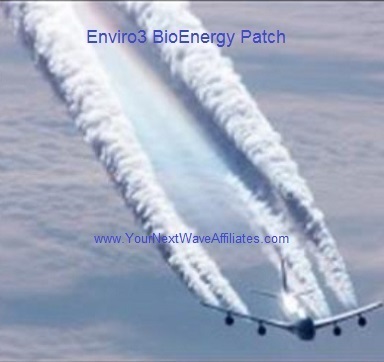 Patches that can be used in conjunction with Allergies BioEnergy Wearable Patches to boost effectiveness: BAC (Bacteria), Bio-Defense, Brain/Heart, Candida, Cleanse, Digest, D-Tox, Energy Balance, Enviro3, GSH-Scar Tissue, Healing XL, “Kidney, Thyroid, Adrenals, Bladder”, LIV-GB (Liver/Gall Bladder), O.L.E. (Olive Leaf Extract), Sinus, and VIR (Virus). To help relieve seasonal allergic reactions consider wearing a patch combination of Allergies, Sinus, and Enviro3. To help relieve allergic reactions for foods, consider wearing a patch combination of Allergies and Digest. The Manufacturer recommends wearing the Allergies patch for 3 days to help strengthen your immune system; repeat an additional 30 days for continued relief, and if needed, continue use for an additional 60 days. To see Allergies BioEnergy flyer, click here.